in the competition were not only university students, but also high school and junior high school students from e.g. Rybnik, Cracow, Chelm, Lezajsk, Przemysl, and Lodz. 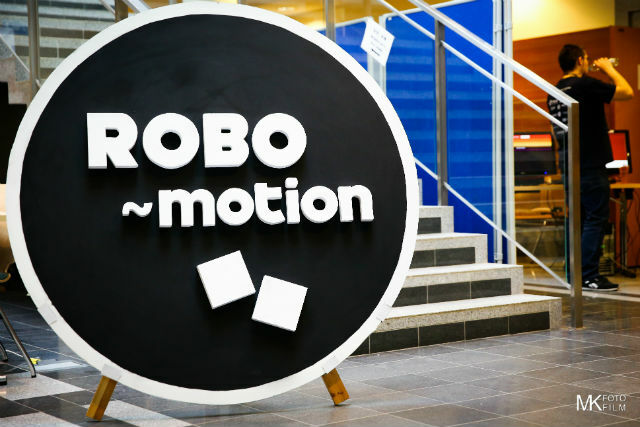 Like in the previous years, the event offered numerous attractions for the youngest visitors, like the ROBOJunior tournament organised by the Imperium Techniki Foundation. 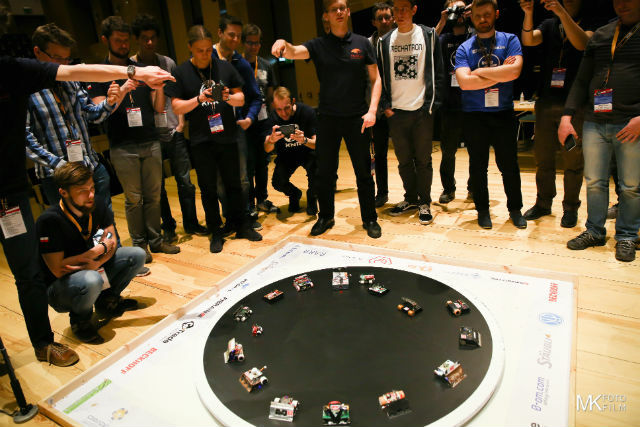 The constructors of competing robots were assigned to one of six categories: Sumo, Minisumo, Microsumo, Nanosumo, Lego Sumo, and Minisumo Deathmatch. The main idea of the contest was to push the opponent off the mat. Those passionate about the Line Follower contest had a chance to compete in 4 disciplines: Line Follower (LF) Standard, LF Turbo, LF Enhanced, or LF Drag. The task for the robots was to follow a black line on a white background as fast as possible. The final track was the longest thus far (over 30m long). The competitors were divided into two categories, so as to give the less-experienced participants a chance to finish at the podium, too. 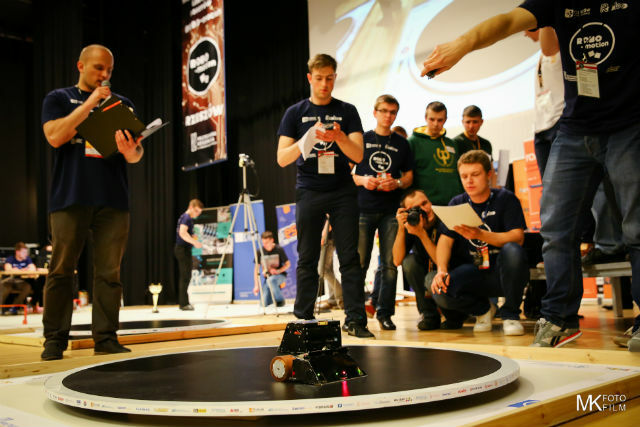 What is more, students from Rzeszow University of Technology created an innovative time measurement system that included industrial-grade solutions. 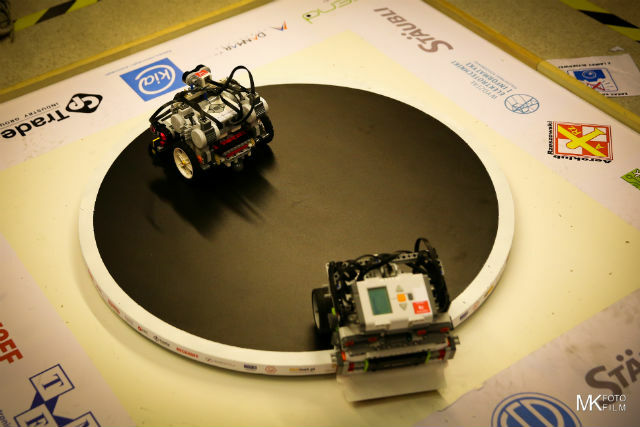 Also, competitors had a chance of trying their hand at the Micromouse contest, where the robots had to navigate through a maze and find the exit as fast as possible. In the Freestyle category, participants presented any constructions of their choice, which were judged based on the level of inventiveness and technical advancement. 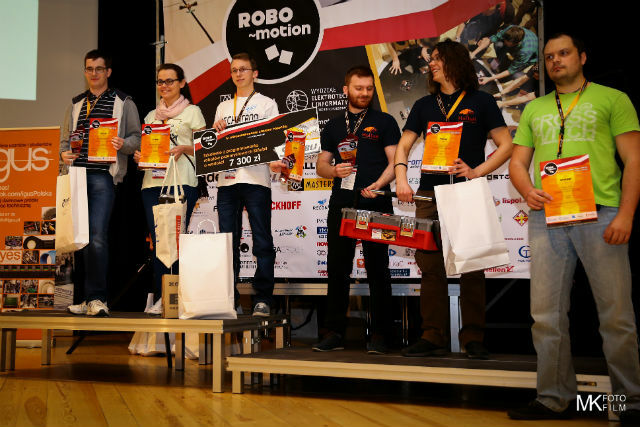 TME was not only a sponsor of the entire event, but we also cheered for Mariusz Palubicki, whom we support in creating innovative robotic constructions. Our contestant finished first in the Line Follower Turbo category. He was also a runner-up in the Line Follower Drag competition.